A visit to the fishponds of Lake Sebu in South Cotabato. Lake Sebu is the eponym of a lake in the municipality with the same name in South Cotabato. The scenic lake has an area of 354 hectares, a maximum depth of 57 meters at its center, and an elevation of 1,000 meters. 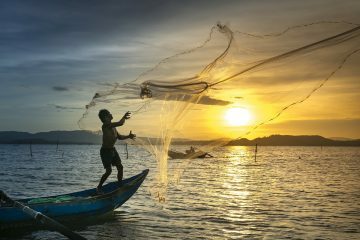 As home to the indigenous T’bolis, Tirurays, Ubos, and Manobos, the municipality has a vibrant eco-tourism economy based on the aquaculture of tilapia grown in floating cages. We recently visited Lake Sebu with Jojo Bucog and Daniel Cabrera of SANTEH Feeds Corp. It was more than five years since our last visit to the alluring lake, which was then plagued with thick growths of water hyacinth and catastrophic fish kills in its tilapia cages. In January and August of 2012, Php3.8 million and Php0.65 million of losses, respectively, were reported due to fish kills in Lake Sebu. In 2013, a loss of 20 metric tons of fish was also incurred. In February of this year, a loss of 68 tons of tilapia with a value of Php5.2 million was reported. known locally as ‘kamahong’, which take place naturally in Taal Lake in Batangas. During a lake overturn, which usually occurs in the cooler months of the year (January to February), strong cool winds cause the upper water portion of the lake to become heavier in mass than the water at the lake’s bottom. The sinking of the upper water column pushes up the bottom water column that is poor in oxygen and high in toxic compounds like hydrogen sulfide, and this kills the fish in floating cages. severe and extensive with the congestion of cages being beyond the lake’s so-called “carrying capacity” or its ability to absorb and recycle nutrients from outside sources. During our recent Lake Sebu visit, we found it clear of the obnoxious water hyacinth that used to choke it. We also saw the tilapia cages arranged in zone areas as regulated by the local government. 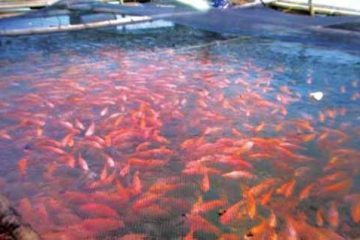 However, we noted the relatively big size of the cages and the lack of “breathing space” between cages for promoting favorable water exchange and aeration for the fish. 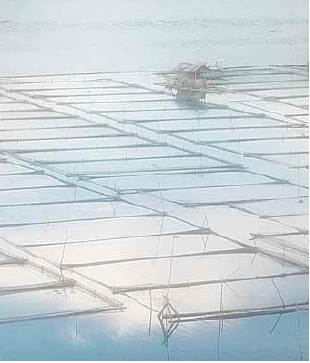 According to Bucog, the typical floating cage in Lake Sebu measures 17 meters long and 10 meters wide for a surface area of 170 square meters and a depth of 2 to 3 meters. Each cage is stocked with 2,500 to 5,000 fingerlings of Nile tilapia coming from pond-based hatchery/nursery operators in a nearby town. It takes 7 to 8 months to grow the fish to market sizes of 3 to 5 pieces to a kilo. Some cage operators are able to produce 2 crops per cage in a year by stocking larger fingerlings; this reduces the culture period to 6 months. It is estimated that there are more than 3,000 cages in the lake at present. low survival rate of 30% caused by fish kills, Bucog relates. The cost of producing the fish for market is said to be Php55 per kilo while ex-farm prices are R85 per kilo for fresh chilled whole fish and R95 per kilo for the live fish. cages will help in improving fish growth and survival. 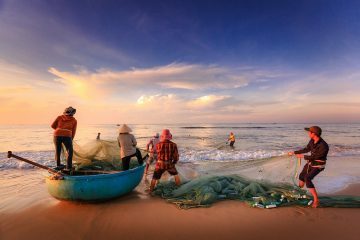 The use of bigger fingerlings and larger-sized mesh for the net cages will also be of benefit. While at Lake Sebu, we noticed the flourishing live tilapia market along the roadside, similar to that in Talisay, Batangas. Live tilapia are kept in aerated concrete tanks and sold at Php114 per kilo. We also visited the tilapia hatchery/nursery operators of Brgy. El Nonok in the nearby town of Banga; they produce the fingerlings not only for the cages of Lake Sebu but also for the fishpens of Lake Buluan in Maguindanao. 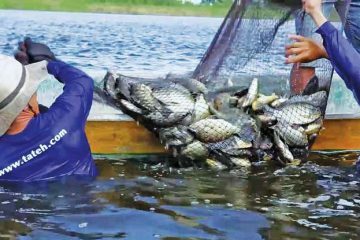 We talked to Marciano Rodriguez, one of the leading tilapia hatchery/nursery operators in the area and a Gawad Saka Awardee of the Department of Agriculture. He said that there are about 70 small-scale hatchery/nursery operators who produce millions of Nile tilapia fingerlings every month. For his part, he began in 1980 with a one-fourth hectare of irrigated rice paddy. 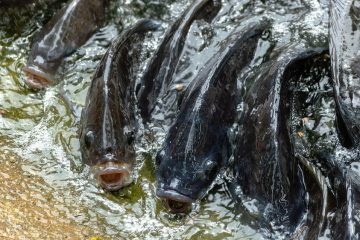 He now has four hectares of tilapia hatchery and nursery ponds. Using the latest improved breed of the fish produced by the Bureau of Fisheries and Aquatic Resources, he sells the fingerlings at Php0.30 per after about two months of rearing. This appeared as “Lake Sebu Revisited” in Agriculture Monthly’s January 2015 issue.